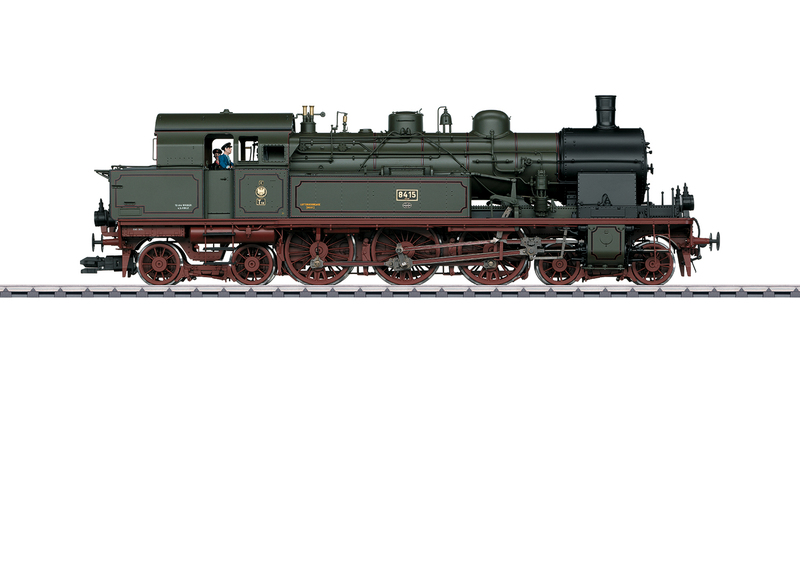 Prototype: Royal Prussian Railroad Administration (K.P.E.V.) class T18 steam tank locomotive. The locomotive looks as it did around 1917. Road number 8415 Erfurt. Smoke box door can be opened, many original details included. Model: The locomotive is completely new tooling. 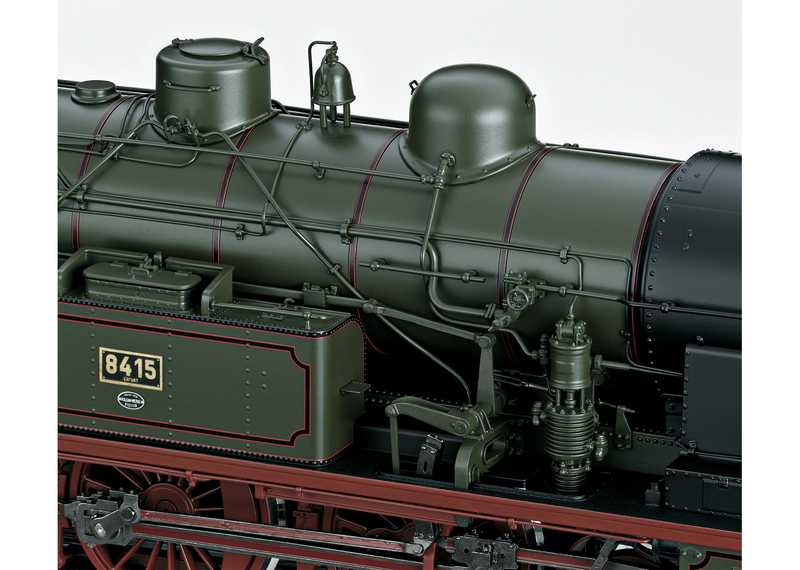 The frame and the locomotive body with boiler and cab are constructed of die-cast zinc. Other applied parts are constructed mostly of metal (brass). This is a highly detailed model with many separately applied details and a prototypically detailed cab. The cab has an arched roof, 2 boiler attachments (round steam dome, round sand dome), and a smoke box door with central locking (can be opened). The water tank hatches can be opened, the cab doors can be opened, and much more. The locomotive has an mfx digital decoder with 32 possible functions, controlled high-efficiency propulsion, and a sound generator with running sounds synchronized to the wheels as well as extensive sound functions. The locomotive can be operated with AC power, DC power, Märklin Digital, and DCC. The locomotive has a built-in current buffer. All driving axles powered. The locomotive has a built-in smoke generator with steam chuffing synchronized to the wheels, cylinder steam, and a steam whistle. There are dual headlights front and rear that change over with the direction of travel. The light color is correct for the era. The headlights will work in conventional operation and can be controlled digitally. Maintenance-free, warm white LEDs are used for the lighting. Red marker lights can be controlled. The locomotive has sprung buffers, and cab and firebox lighting. The locomotive comes with a prototype coupler on the front and a remote controlled Telex coupler on the rear. Both couplers can be replaced by the other type. The valve gear switchover is in 3 steps (forward, reverse, continuous operation). An accessory package with one each reproduction prototype coupler and a Telex coupler, smoke fluid, and a figure of a locomotive engineer and a fireman is included with the locomotive. The locomotive is mounted on an aluminum base painted black for display case presentation. The minimum radius for operation of the train is 1,020 mm / 40-1/8". Length over the buffers 46.2 cm / 18-3/16". Weight approximately 6.2 kilograms / 13 pounds 11 ounces.